If you’re a fan of Lucky Dog Organic‘s farm-grown food and haven’t yet had a chance to venture out for a meal at the inn run by its proprietors, there’s a new incentive to plan an evening in Hamden this winter. A dinner series at the Hamden Inn will showcase the skills of city-based chefs who will travel upstate to the source of their ingredients — a growing trend that landed the Catskills a glowing spread in Food & Wine magazine‘s November issue. This Saturday, Oct. 17, Chef Dave Gould of Roman’s in Brooklyn takes over the kitchen for the first event. Gould’s six-year-old Fort Greene restaurant specializes in Italian fare based on seasonal ingredients in an ever-changing menu. It’s owned by Andrew Tarlow, a long-time Lucky Dog customer, whose other properties include Diner and Marlow & Sons. There are 30 seats available for the prix-fixe dinner, which costs $55/person and includes multiple courses. (Reservations are required; call 607-464-4109.) The exact menu is still being developed, but the main entrée will feature guinea hens from Lucky Dog food hub member Mauer Mountain Farm, White said. A portion of the proceeds benefits Farm Catskills, a Delhi-based nonprofit that supports working landscapes and local food access for everyone. The next dinner in the series is scheduled for Saturday, Dec. 12, with Chef Nate Smith, who owns two restaurants in Brooklyn: Allswell, a rustic American eatery, and Bar Bolinas, which serves Northern-California-inspired cuisine. The rough plan is to do a visiting chef dinner every other month or so, said inn proprietor Holley Alane White. White and husband Richard Giles, who manages Lucky Dog’s farm and food hub operations, are planning several other winter happenings centered on local food. In November, their farm store and cafe, which is across the street from the inn, will revive its monthly all-you-can-eat soup nights on the first Wednesday night of each month. A holiday market hosting local farms, food producers and other vendors will return for a second year, as well, White said. 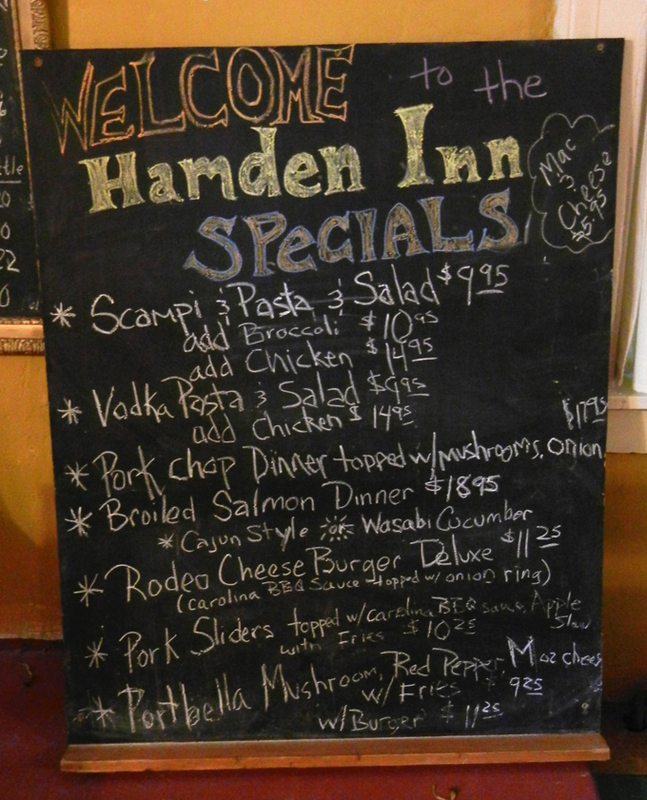 In addition to its special events, which include all-you-can eat pasta nights during the summer, the Hamden Inn regularly serves dinner Wednesday through Saturday. The chalkboard menu rotates; recent specials included a “rodeo burger” with barbecue sauce, pork sliders, mac ‘n’ cheese and scampi with pasta and salad. Entrees run between $10 and $20. 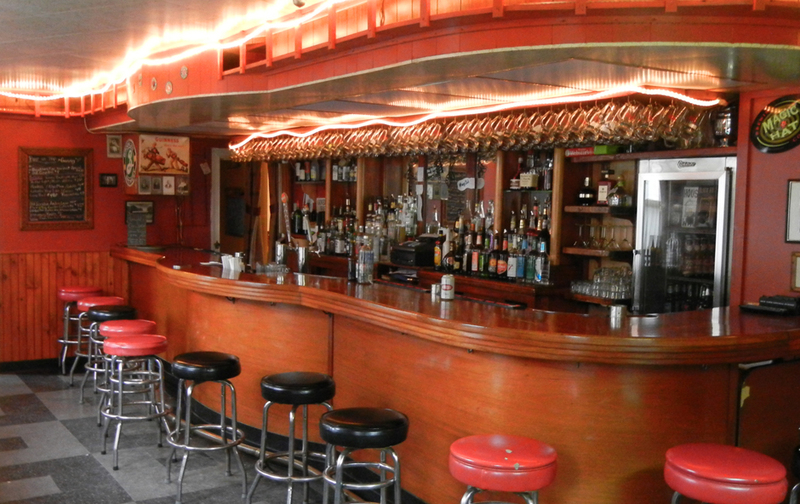 The adjacent bar features local and regional beers on tap and by the bottle, as well as wine, cocktails and a pool table. Up near the ceiling, a miniature train circles the perimeter, one of the many antique details White preserved when she undertook renovations after buying the 19th-century building four years ago. 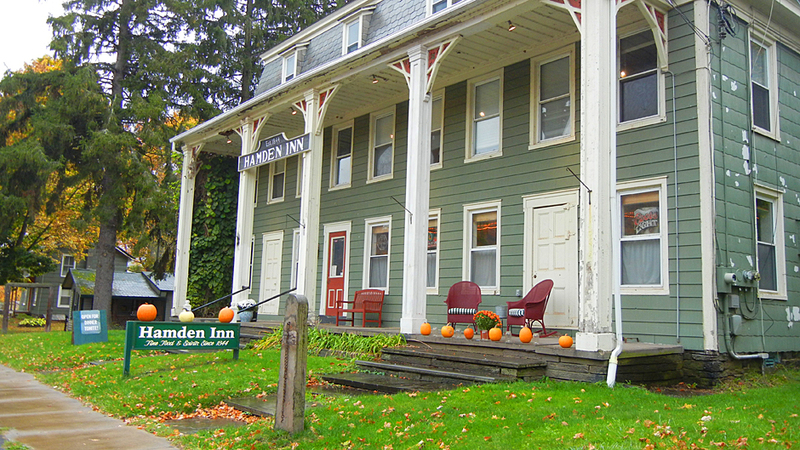 Find the Hamden Inn at 35769 Route 10 in Hamden. 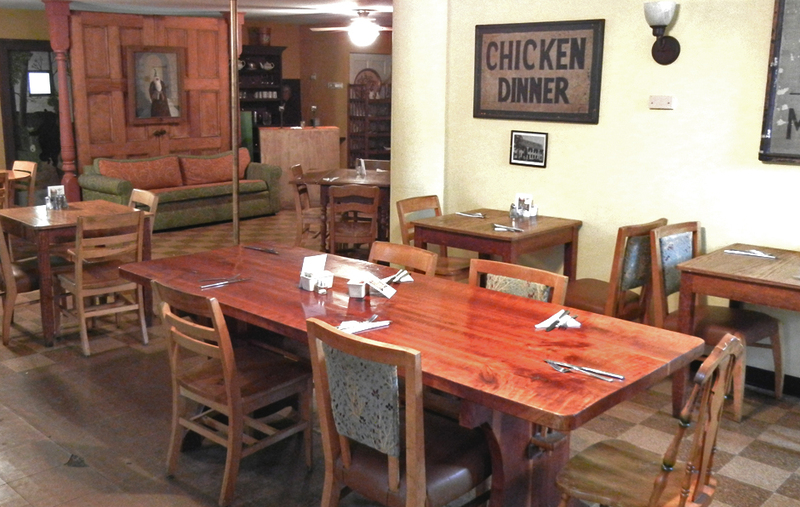 It is open Wednesday through Saturday, with bar hours beginning at 3 p.m. and dinner service at 5 p.m. Lucky Dog’s cafe, located across the street at the rear of the farm store, serves lunch daily.